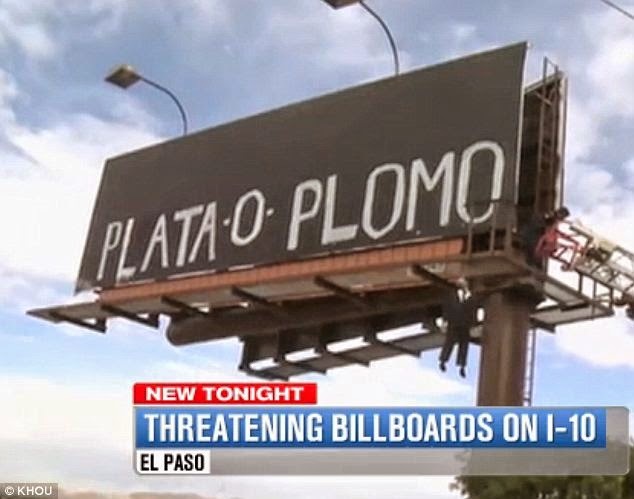 The first vandalized billboard off I-10 had Plata o Plomo in large black letters which translates into silver or lead. It is usually a warning targeting police or government officials in Mexico. 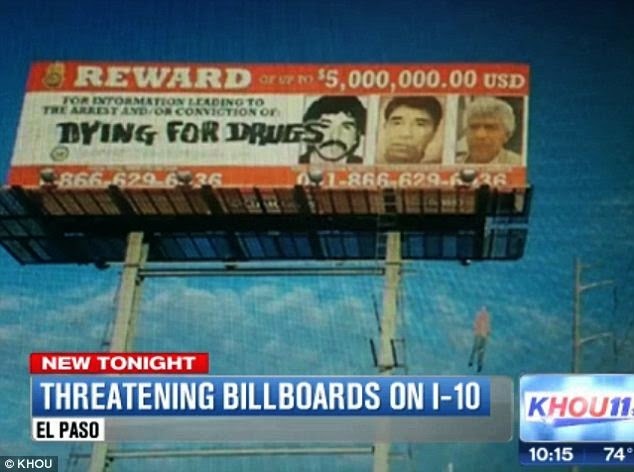 The warning: work with a cartel and take a bribe or get a bullet. 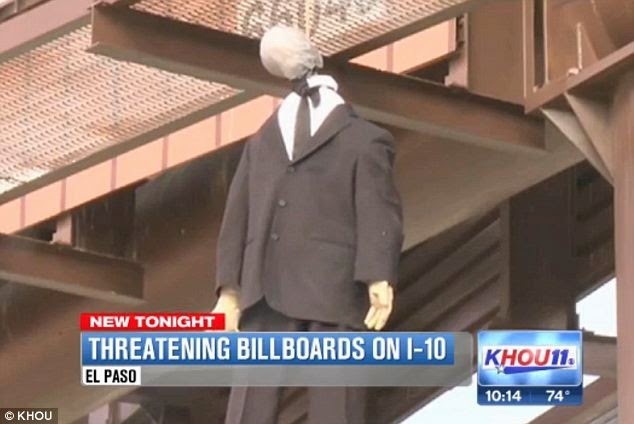 The hanging mannequin was dressed in a suit and tie. “This symbol has historically been used by Mexican drug cartels to threaten or intimidate Mexican citizens, business owners and government officials; however, we have never experienced this in El Paso,” said police in a statement released to media. “Maybe the problems in Juarez are coming over here,” said Javier Padilla, an El Paso resident. “Oh, that’s horrible,” said Maria Ramos, his wife looking at a photograph of a stuffed hanging mannequin. The second mannequin sent a different message, 'turn in a drug lord for a monetary reward, and you will die.' Note this mannequin is dressed in jeans. For more from the Vickers conference call (truly startling stuff) see here and here, and visit the organization they founded, the Texas Border Volunteers for more information on what's happening on your southern border. Please remember Marine Andrew Tahmooressi in your prayers. The 25-year-old has been held in a Mexican jail for two months after taking a wrong turn and landing across the Mexico border. Pray for his swift release.